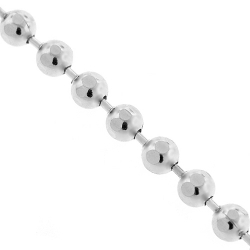 Our army moon cut ball chain is a versatile option for everyday wear, and glamorous enough for a special event! 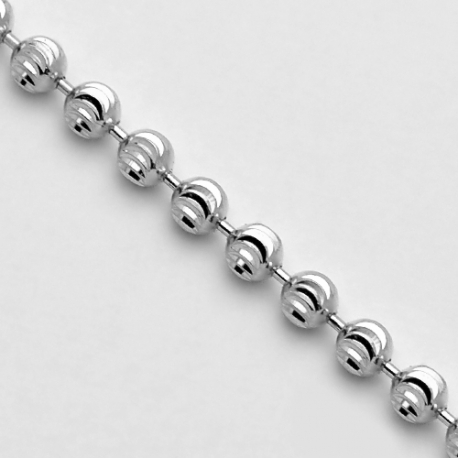 Artfully produced from Italian 14k white gold, it's polished for very smooth look. It also has moon cut patterns for ultra sparkling! 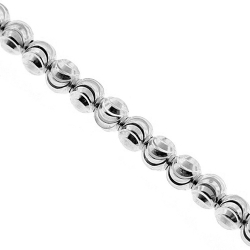 The piece of jewelry comes in length of 24, 26, 28, 30, 32, 34 or 36 inches. 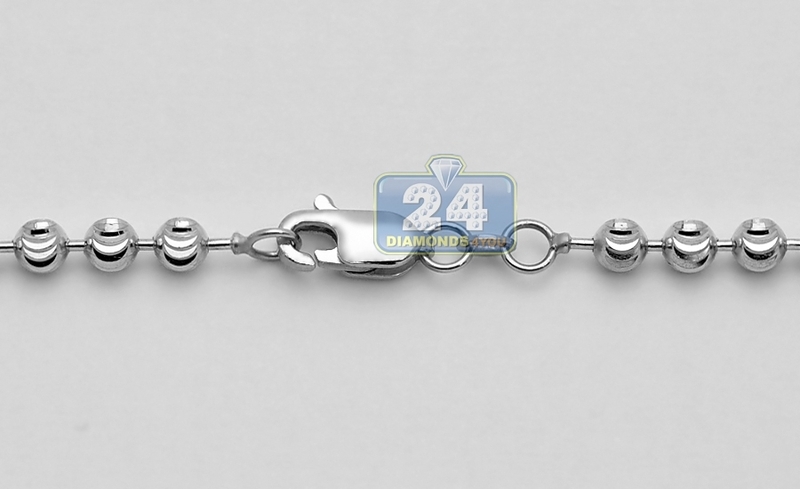 It's secured with a durable lobster claw clasp. 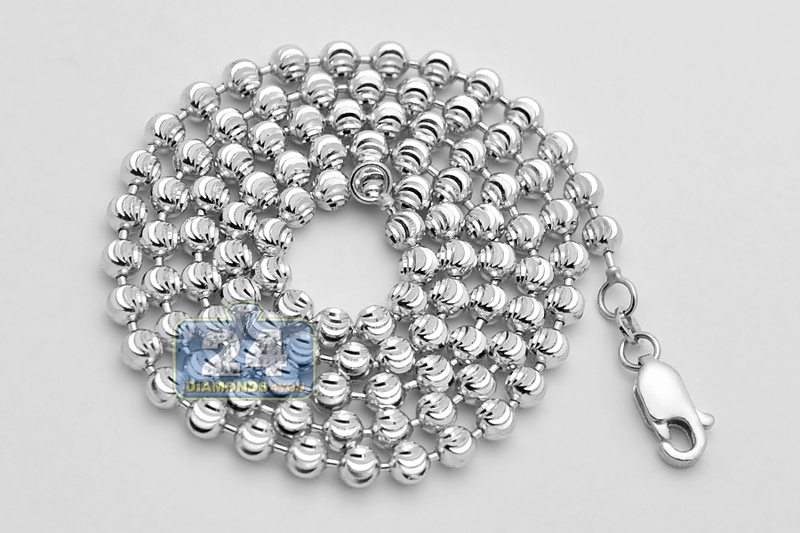 This men's beaded necklace is just what you're looking for!